The World Humanitarian Summit was a few weeks ago. People keep asking me for observations. My answer continues to be: Innovation matters in the hallways. There were side events, main delegate events and so many announcements. To me, the success of the event is more abstract. Yes, I agree with some of the observations and critiques that the Summit could have done more. But, really, some of this is up to us. One of the wins of the event was all the conversations between people who make things. 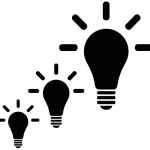 It is the exposure to new ideas or new (old) ideas across so many disciplines. Consider this, what if we took all the vendors, researchers, innovators, creators and businesses in the Innovation Marketplace and Exhibition Marketplace and put them in the same room for 2 days or 4 months to make things? How many businesses would flourish? What would be the next steps? What if we could build things together irrespective of branding and funders? There are many partnerships, alliances and hubs being announced. This is the dream that some groups aim to build. Truly, I am excited about Humanity X, the Global Humanitarian Lab, the Global Alliance for Humanitarian Innovation, especially if they work closely with the Near Network. What matters most is that those who build and make things continue to go forward. Our pace must now be full speed in complimentary streams with the organizations and in consultation with communities. The success measurement comes from how we use what we observed and learned to build better. As much as success is qualitative and abstract, I think if we did an 1 year or 5 years later informal assessment of all the organizations and individuals who make things, we might get the math people seek. Until then, keep doing is our motto. Fostering ideas to full scale implementation is on many people’s minds in the Humanitarian Technology space. Yet, true sustainability and effectiveness can only happen with local knowledge, culture and partners. 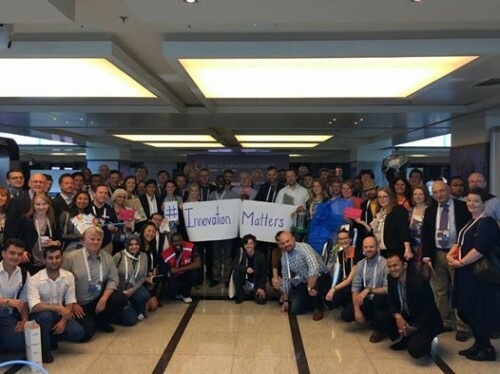 There is a convergence happening in the humanitarian space as technologists, humanitarians, businesses and governments are seeking better long-term ways to move past ‘little projects’ to healthier local engagement. The occasional marriage of entrepreneurs and humanitarian organizations is growing. We’ve seen the power of communities like Kathmandu Living Labs, Yellow House and global digital communities. How can we keep fostering these types of communal ideation spaces? Well, UNOCHA’s intern Kate Whipkey and Andrej Verity just published a report on: Establishing a Humanitarian Entrepreneurial Innovation Space. It was my pleasure to provide input into this important research. How will your organizational incorporate these learnings? Are you considering opening a Humanitarian Entrepreneurial Incubators (HEI)? We really need to convene all these actors mentioned in the research. 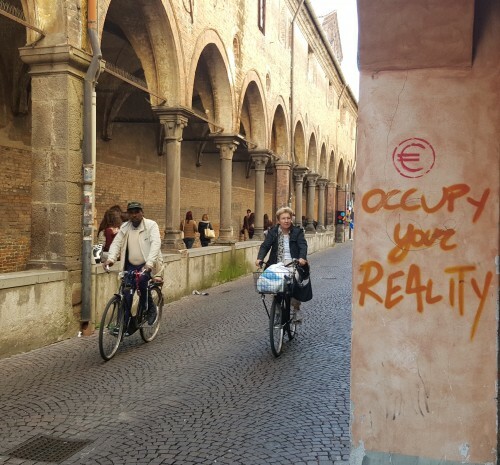 What if a room of ‘doers’ or online forum could build out programmes to support civil society and NGOs? Would the technical companies support this? Could it be part of their CSR programmes or, better yet, have companies encourage employee sabbaticals to contribute as advisors and supporters for the local entrepreneurs? How can accelerators, incubators, labs, hubs and research institutes play a part? With great interest, I read the UN Secretary General’s report for the upcoming World Humanitarian Summit. The research from this intensive consultation process indicates the need for strong ideas with funding legs to support the change from parachute technology to really locally driven service design. As the HEI report highlights, there are already many groups leading the charge. But it is my hope that we can foster more of this with local entrepreneurs supporting the needs of their communities. Plus, imagine the possibilities of ideas created in Kampala not only helping people in their city but also helping people in Phnom Penh. The pieces are falling into place. Now, how can we implement changes and support the changes already in progress? Honoured to have contributed to Establishing a Humanitarian Entrepreneurial Innovation Space incorporating on lessons and observations from RHOK, various social entrepreneurship zones plus being in an Accelerator programme with Qatar Computing Research Institute and Qatar Science & Technology Park. Dear Digital Humanitarian allies, the United Nations Children and Youth Major Group have big ideas. Let’s help them make these happen. They embedded the need for digital skills into the Doha Declaration which then informed the World Humanitarian Summit Synthesis Report. Over the past months, I have closely followed and met these amazing leaders. Their sessions in Doha for the World Humanitarian Youth Summit followed by their participation in the World Humanitarian Global Consultation in Geneva, has shown the true power of youth. And, frankly, they have written Digital Humanitarian strategic plan that we should help them implement. Roll up your sleeves, while the talking continues leading up to the Summit, there is no need for any of us to wait. Read the whole Doha Declaration report. Many of us have youth engagement plans for NGOs and Digital Responders, but just take a look at some of their additional core priorities. Let’s spend the next months helping draft plans to make these items happen. How can each Digital community consider these items as part of their plans? How can funders/donors plan for this? What role can companies play? 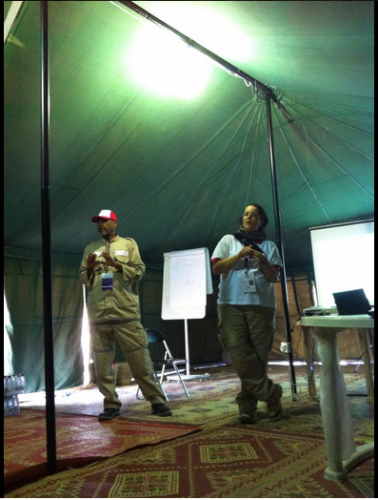 I’m hosting Digital Humanitarian training classes in Doha because we need local knowledge for local action. I look forward to hearing your thoughts on how groups and organizations can help build plans. And, for the members of the Children and Youth Major group = please keep up the great work. Policy negotiation is hard, but you have a voice and a plan that can thrive with passion and action. The World Humanitarian Youth Summit is in Doha, Qatar this week (September 1 – 2, 2015). Students and young people under the age of 30 joined from over 80 countries around the world. They are here to consult on a number of key issues creating an outcome document with key recommendations. Last night the drafting team was up until 5am AST working to compile all the brilliant ideas. This work will be submitted as part of the larger global consultations to Reshape Aid. It was my honour to join the Transformation through Innovation panel to share some thoughts on how people could get involved as Digital Humanitarians and how they could learn and lead with these skills. During my talk, I share some thoughts on how we could challenge the future to get young people more involved all around the world. See my slides and detailed notes for more information. Thank you to Reach out to Asia, the World Humanitarian Youth Summit, and the Children and Youth Major group for welcoming me in their conversations. Also thank you to Chad Bevins, Mark Iliffe, Kathmandu Living Labs, Yantisa Akhadi, and Stace Maples for their photos about Humanitarian OpenStreetMap Team and OpenStreetMap activities around the world. Motivation and matter: topics that drive me. (I’ve written about Heart and Fractual Matter before.) At Qatar Computing Research Institute, I’m creating programs to make it easier for MENA, GCC and Qatari folks to get involved in Digital Volunteering. The World Humanitarian Youth Summit is coming to Doha, so opportunity is knocking. I’ve also been thinking more about sustainable care-taking of “matter-ness” within the digital communities. Volunteer motivation reasons frequently narrow down to “Matter” or “Inspired” or “Do Something” or “Knowing I can do something“. Today I got the “matter shivers” again. 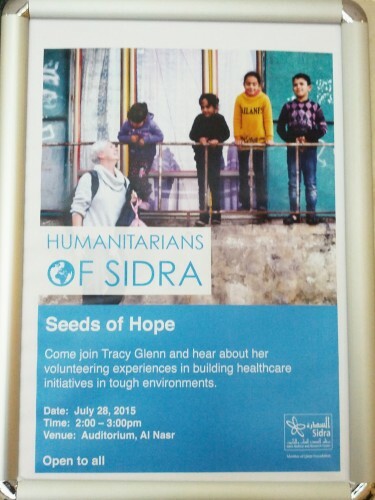 Tracy Glenn of SIDRA spoke at the Humanitarians of SIDRA event. Sidra is a Doha-based Medical and Research Center. 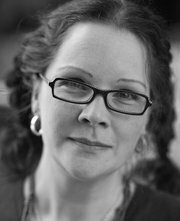 Tracy volunteered as a nurse in a Post Anesthesia Care Unit (PACU) in Rwanda and Palestine. During her time, she assessed and made recommendations to improve processes in the PACU. Her talk incorporated stories and photos from her experience in Jenin (Palestine) with the Palestine Children’s Relief Fund. Helping the vulnerable and train local capacity is a gift. Her honest integrity showed in every sentence and photo. By telling little snippets of life in the medical facility, she gave us a window in the healthcare needs in Jenin and the lives of the people she served. Listening to Tracy reminded me of all the other humanitarians in my life who have shared such heartfelt inspiration to volunteer with their skills. I hope that you get hear all their stories more. Healthcare professionals truly have this hardwired in their processes and networks. What can we learn from them? I certainly learned today from Tracy. (Thank you). Returning to my desk, I started to reflect on how to sustain motivation in a healthy way. As Digital Humanitarians, we go through phases of on/off. With every large response, I am seeing the wear on digital volunteers. Some of the people who gave their digital skills during the Haiti or Christchurch response contacted me just after the Nepal Earthquake and said sorry that they took a break but were ready to do something. Warmly I told each person how happy I was to hear from them. We are so connected but disconnected some times in how we talk about volunteering. Every interaction is a gift. The human-ness of giving and volunteering is beautiful. We need to keep walking forward in cycles of sustainable patterns. And, when I say sustainable patterns, I mean – our own pace, taking care of ourselves, those we love and those who are allies. The saturation of energy during a response often takes weeks to months to recoup the cicada rhythms of spirit. Each digital organization needs this in their fabric. 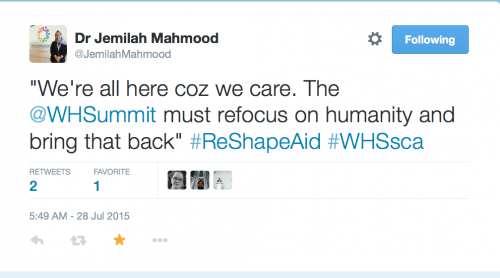 The World Humanitarian Summit tweets via #ReShapeAid are a daily read for me. I try to read all the reports. And, I have had the pleasure to review and add some comments on how digital training needs to be part of the youth engagement strategy. But as we build programs and software to really ACTION the feedback of #ReShapeAid, how can we keep that pure sense of “motivation” and “matter” without burning out people. The intense purpose needs sunshine and a hug. I’m not trying to make light of the real focus we need to have. But with joy, the spaces (online and offline) that we create need to have human check-ins and keep humanity. This means inclusive, respectful, locally driven and with a spirit of “Matter” that does not crush the spirit or the action required. I think that digital spaces need to #Reshape too. World Humanitarian Day on August 19th this year.